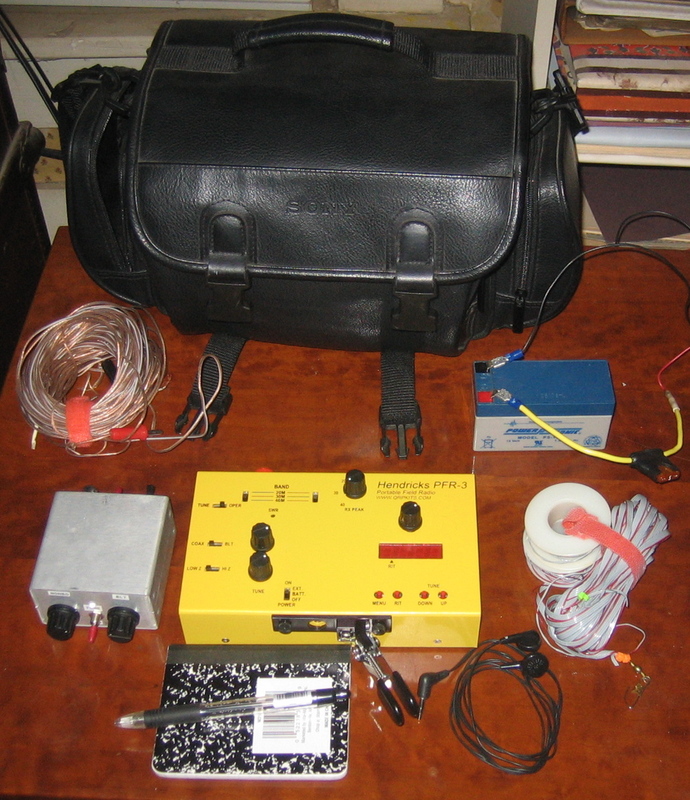 One of the best things about operating QRP is the ability to grab your gear and take it with you.The following links are a collection of websites where people showcase their “grab and go” kits and techniques. I would like to make this collection of links as extensive as possible, so if you have a suggestion for another site please let me know. Also, if you would like to write-up a description of your portable gear along with photos, you can post it here on QRPer.com! Paul Smith, N0NBD, has a go bag that includes a Hendricks PFR-3, BLT tuner, end fed antenna wires, Norcal doublet, 1.2 AH SLA battery and a pad and pen. Click to enlarge. 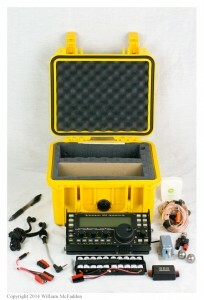 Pingback: What Kind of Ham Radio To Get?